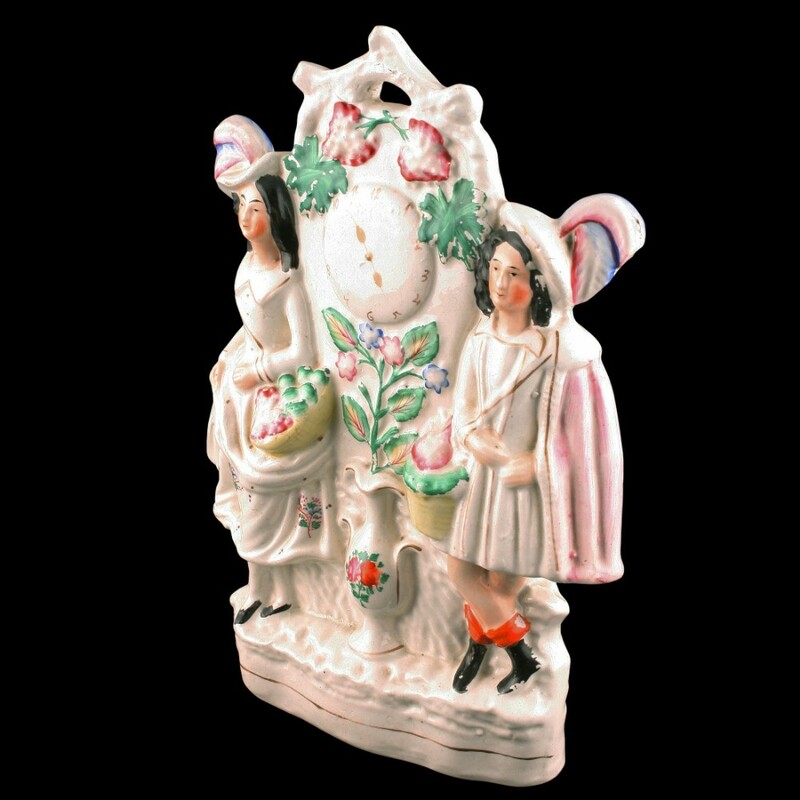 A mid 19th century Staffordshire pottery group figure. 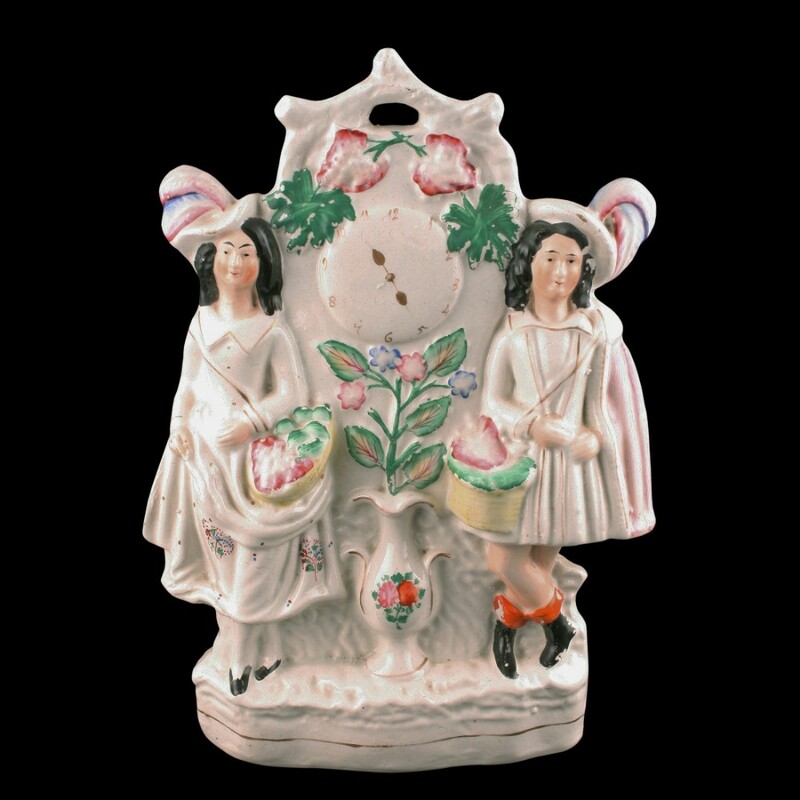 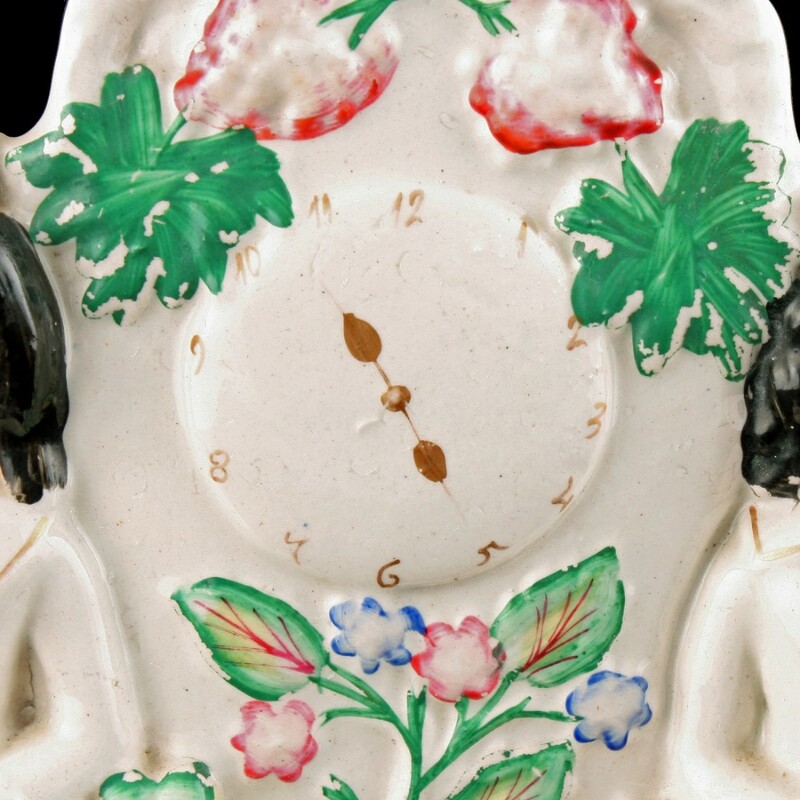 The group is a pair of female figures with baskets either side of a clock face with a vase on the ground with grapes and vine leaves above the dial. 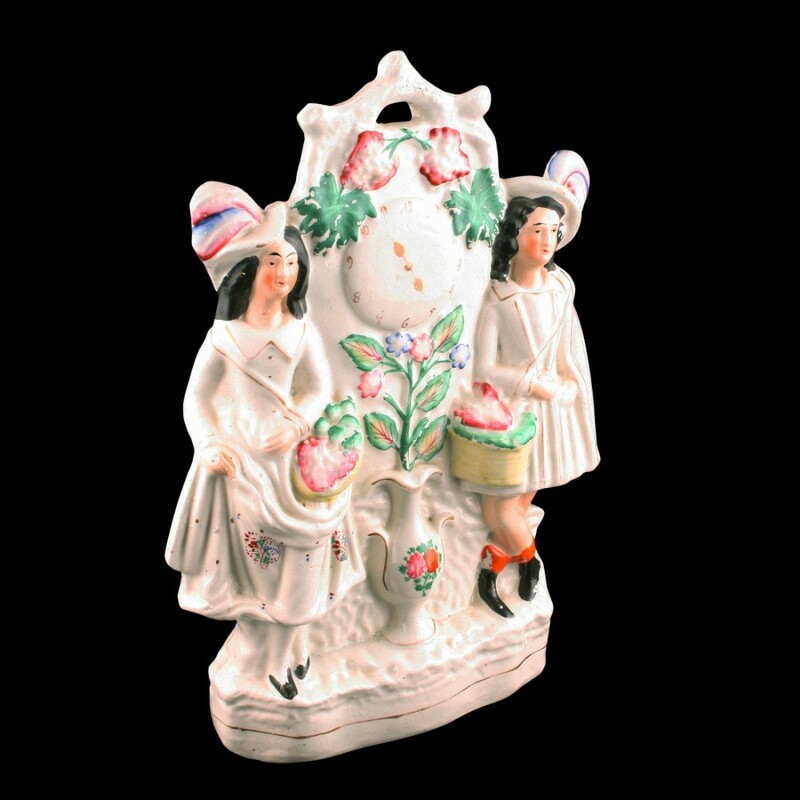 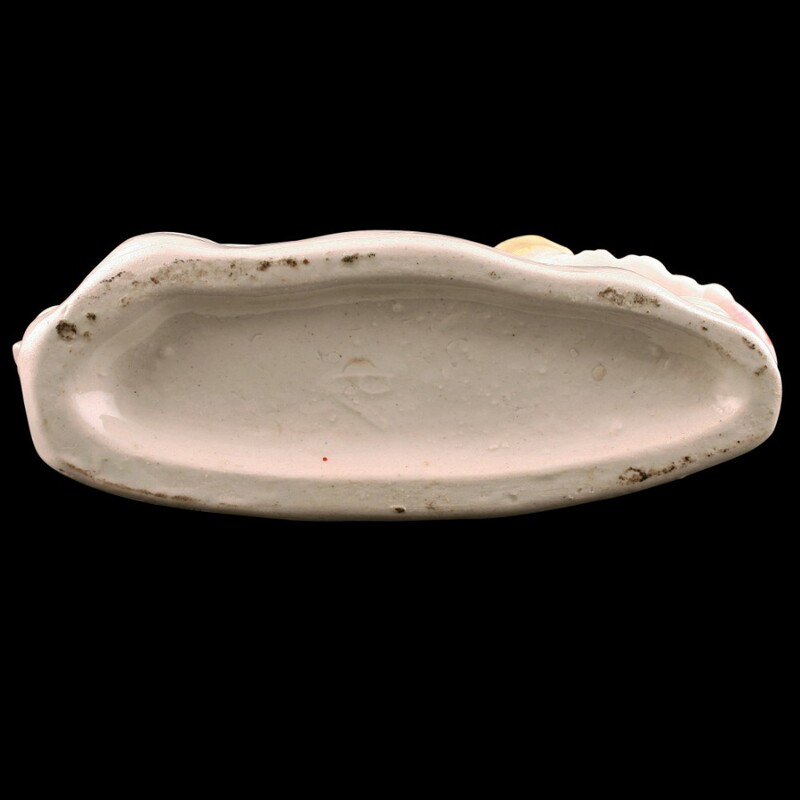 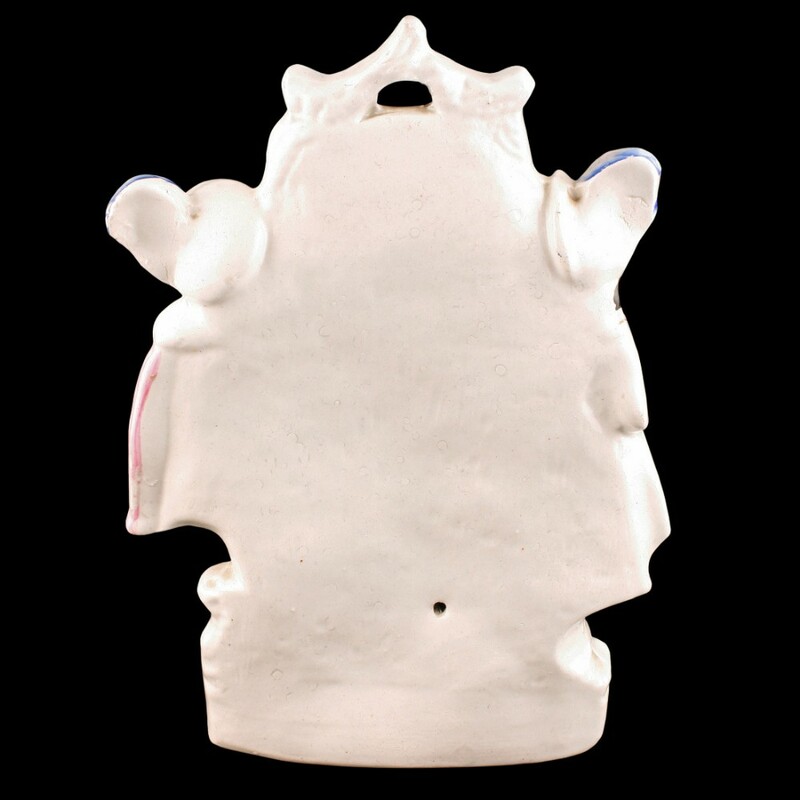 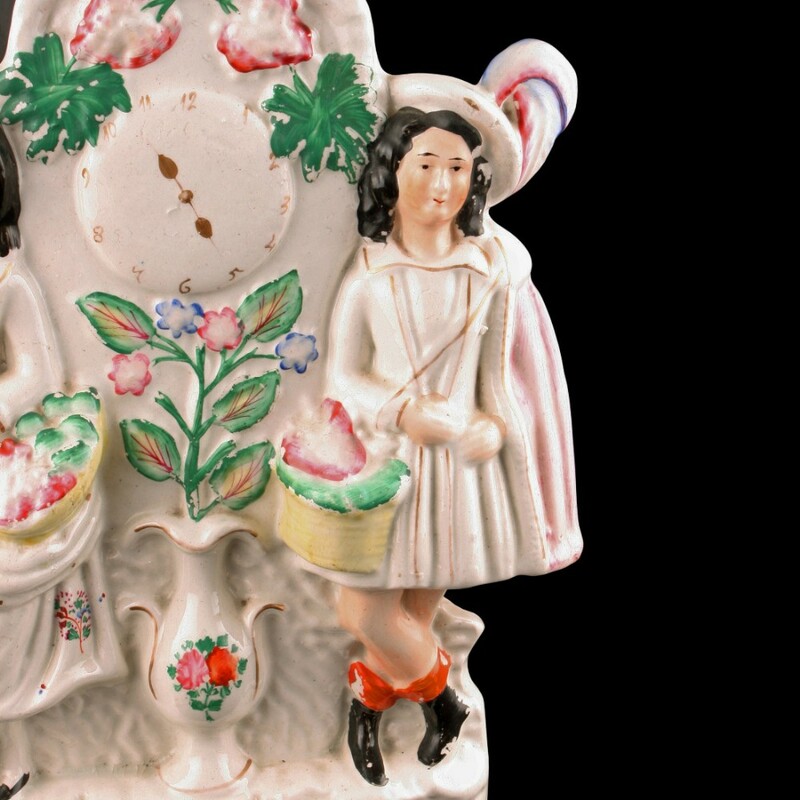 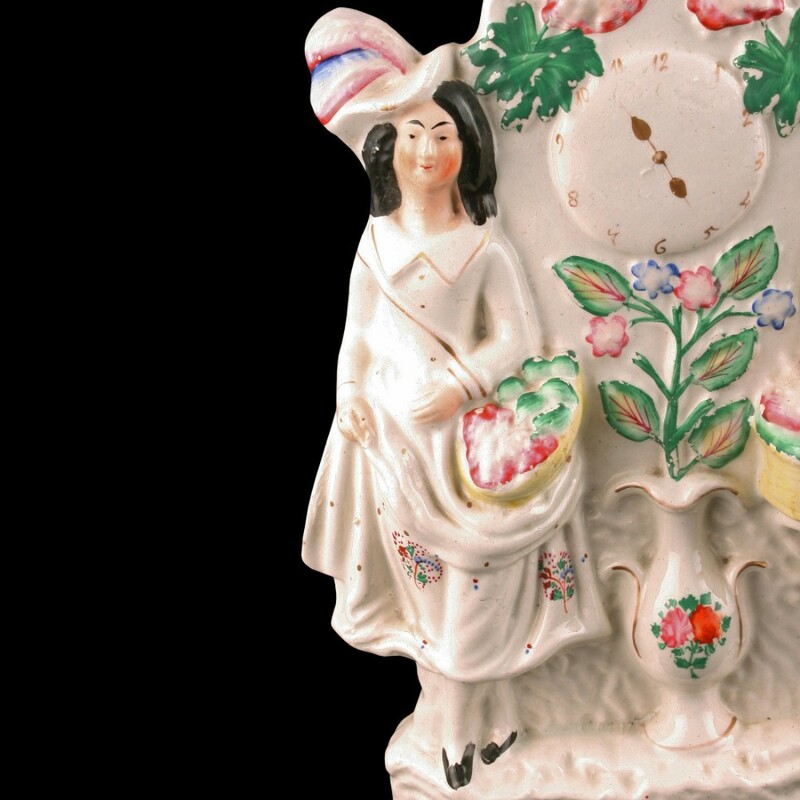 The Victorian Staffordshire Pottery Group has been added to your saved items.